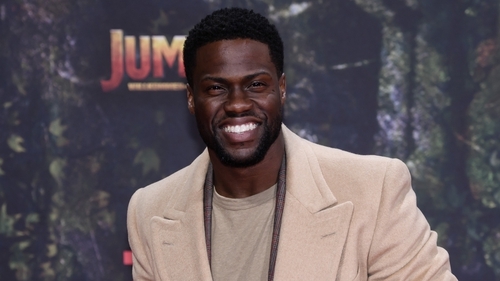 US comedian and actor Kevin Hart abruptly withdrew from hosting the Oscars last night amid flack for past homophobic and anti-gay tweets. Two days after announcing he had landed what he called a dream gig, Mr Hart said that the Academy of Motion Picture Arts and Sciences had told him to choose between apologising for the tweets or losing the job. Mr Hart said the tweets were from nearly a decade ago and that he has matured since then. "I chose to pass on the apology. The reason why I passed is because I've addressed this several times," the 39-year-old said during a video posted to Instagram. "I've said who I am now versus who I was then. I've done it. I'm not going to continue to go back and tap into the days of old when I've moved on and I'm in a completely different place in my life," Mr Hart said. On Twitter, Mr Hart apologised to the LGBTQ community for what he called "my insensitive words from my past". "I'm sorry that I hurt people," he added. "I am evolving and want to continue to do so. My goal is to bring people together not tear us apart. Much love and appreciation to the Academy. I hope we can meet again." The star was to have hosted the glitzy event after talk show host Jimmy Kimmel held the gig for two consecutive years. Whoever hosts it will face pressure to boost audience ratings for the annual show that will be held on 24 February in Hollywood and which had an all-time low of 26.5 million viewers last year, compared to 43 million in 2014.